Batman is 75 years old today, first appearing in Detective Comics #27, which hit newsstands onMarch 30th, 1939. Along with Superman, he is one of the longest running continuing characters to be published without interruption, something that had never been done before or since (although Wonder Woman is set to hit 75 in a couple of years). That said, he looks pretty young for his age. This is the guy who ninja-trained Roissy. Remember the days when it was the Superman movies that were awesome and the Batman movies… not so much? Now The Dark Knight is the height of excellence. See, the federal government prints dollars, or the Federal Reserve makes them on computers. Why people shouldn’t worry about the feds creating money on computers but are supposed to throw crosses and holy water at Bitcoin is not explained. The video also states that the debt could be reduced through higher taxes or cutting benefits, but that would be taking money out of people’s pockets. Higher taxes do take money out of people’s pockets, but cutting benefits does not. It’s reducing the amount of money going into people’s pockets. One can argue the ethics or the costs of cutting benefit payouts, but let’s call it what it is. The video concludes by asking viewers to find something else to worry about, because “debt just isn’t a problem right now.” Why change the oil in your car now when you can let the engine seize up later? I probably heard it when I was a kid – my parents had at least one album on 8-track – but I first recall hearing “I Dig Rock And Roll Music” by folk trio Peter, Paul, and Mary when I was 19. I quickly realized it was a, uh, dig at rock music – which they considered lowest common denominator* – as it knocked folk music off the charts. The song referenced the Mamas & the Papas (even emulating their style to some degree), Donovan (with a mild takeoff of his psychedelia), and the Beatles (directly targeting their song “The Word“) while painting them as sellouts who concealed messages in their music that wouldn’t get played on the radio if stated openly. It’s actually quite a catchy pop-rock song and a favorite of mine. Cass Elliot aka “Mama Cass” of the Mamas & the Papas teamed up with Sammy Davis Jr. to sing the song criticizing her. I have to wonder if the insertion of Aretha Franklin’s song “Respect” was a bit of firing back at PPM. Diss tracks were around long before rap. * For as much craptacular rock music was floating around in 1967, it got much worse afterward, hitting a bottomed-out nadir in the mid 70s. What Kind Of Superman Are You? 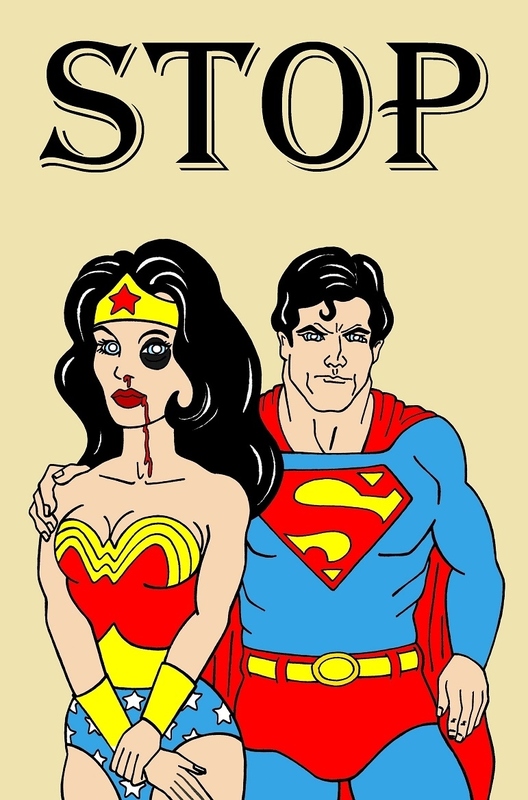 It’s International Women’s Day and artist aleXsandro Palombo has done a series called “What Kind Of Man Are You?” featuring images of well-known cartoon characters in scenes of domestic violence. 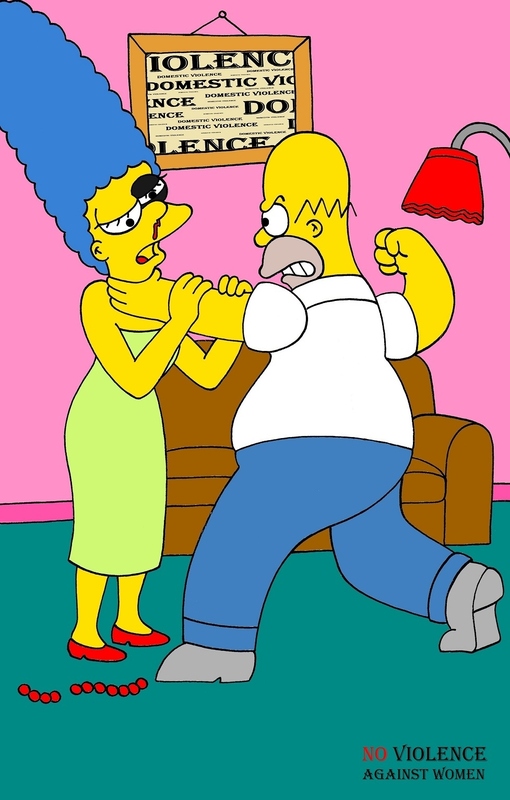 …isn’t particularly striking, pardon the pun, since we’ve seen Homer do worse to Bart almost since Day One. If anything, Marge is getting off easy (and I seem to recall Maggie launching an unprovoked attack at Homer at one point). As for the superhero images, they’re pretty tame (seriously, after being hit by Superman, Wonder Woman shouldn’t even have a head anymore). Even the Super Friends cartoon, which looks to be the inspiration here, was more dynamic and energetic. 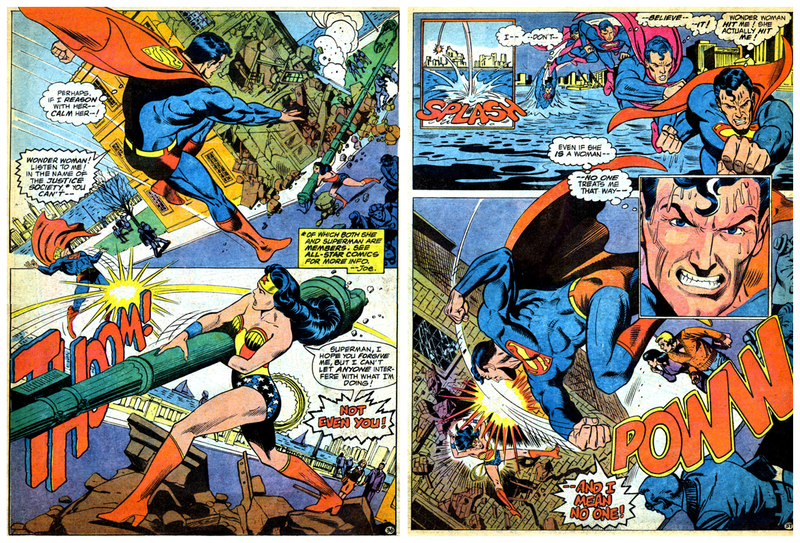 But more importantly, he didn’t need to come up with some new image to show Superman committing domestic violence – there’s tons upon tons of source material in the actual comics. Those are way niftier ways of trying to murder the one you love, especially if you have super powers. Gotta put some style in your game. But I digress. So it’s established that Supes was not very nice to his girlfriend. But domestic violence is not always one-sided. Often the woman is an aggressor as well. It’s not as well known because women are generally less likely to manage causing physical harm to the man, which is illuminated through the extreme situation of the Superman-Lois dynamic… what’s she gonna do to him without taking extreme measures? Which she’s done. Repeatedly. 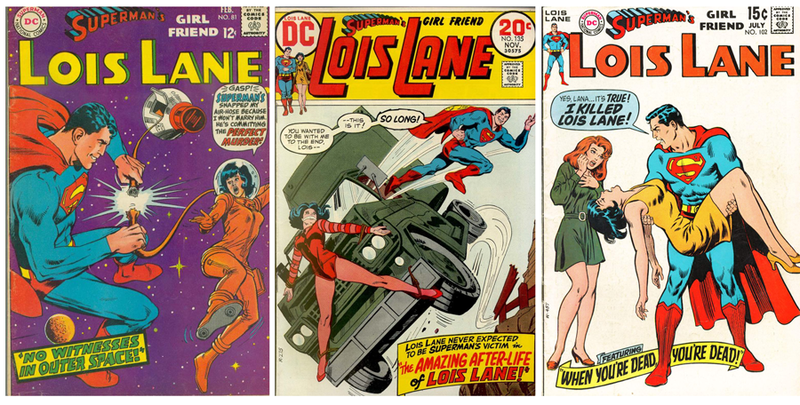 It’s only fair to look at things from Superman’s side of the story and see how Lois has treated him. 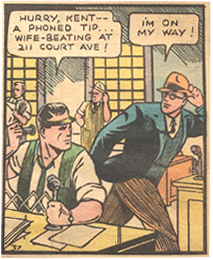 Superman isn’t the only one to be the victim of his girlfriend turning on him. Batman’s crazy cat lady squeeze dropped a hurt on him something fierce. Another aspect of domestic violence that is not often mentioned is that there are times when the woman starts the fight, provoking him into retaliating or sometimes even forcing the man into defending himself. With his greater strength, he is more likely to visibly injure the woman. The unstated assumption here appears to be that those with power will abuse it unless shamed into restraining themselves. Delving into characters like these undermines the concept – comics and cartoons are loaded with Women Of Power. 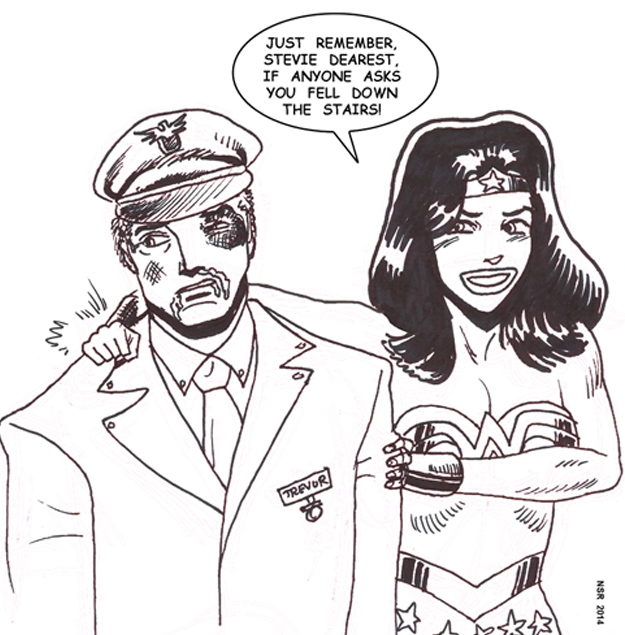 Aside from Superman, who is more powerful than Wonder Woman? 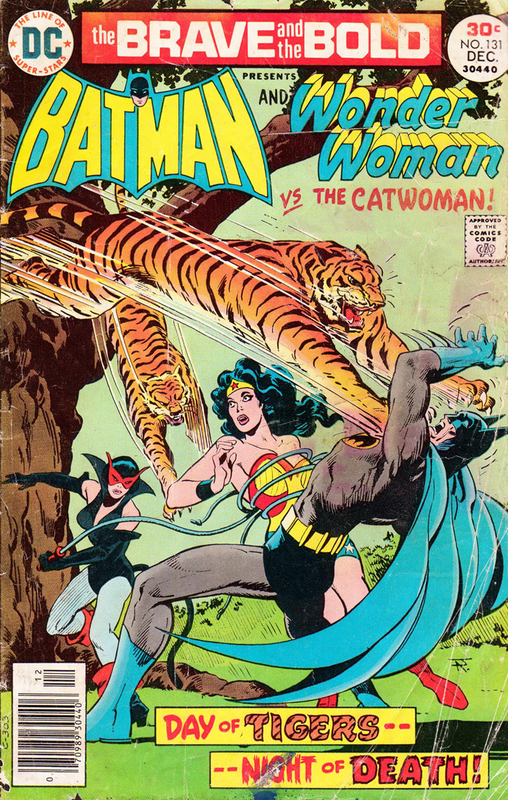 In addition, unlike the caped Boy Scout, she was explicitly trained to fight and even kill. So should we expect a scene like this?